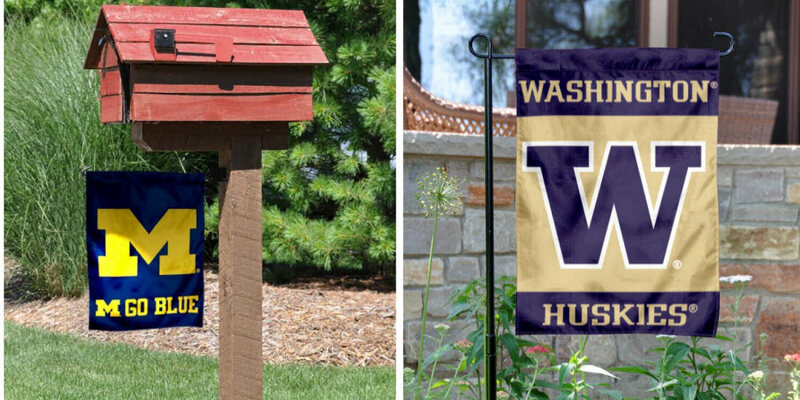 Our College Garden Flags are a perfect way to show your team allegiance in your garden, front entranceway, mailbox, or flower beds. These College Garden Flags measure 13" x 18" and are made of thick weather resistant nylon or polyester with double-sided embroidered or screen printed NCAA team logos. We also offer the recommended garden flag accessories with our garden flag stand, mailbox flagpole or window hanger. 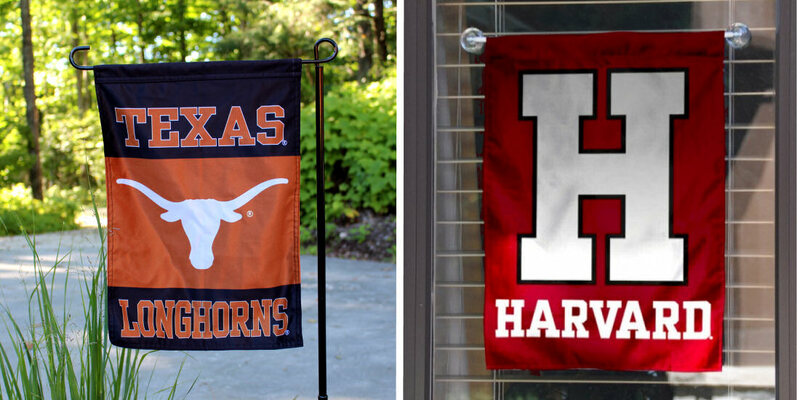 Over 350 schools are available in the College Garden Flag line and each is NCAA Officially Licensed which ensures premium quality and authentic school insignias. If you are looking for 12"x18" Mini Flags with grommets, see our College Mini Flags.